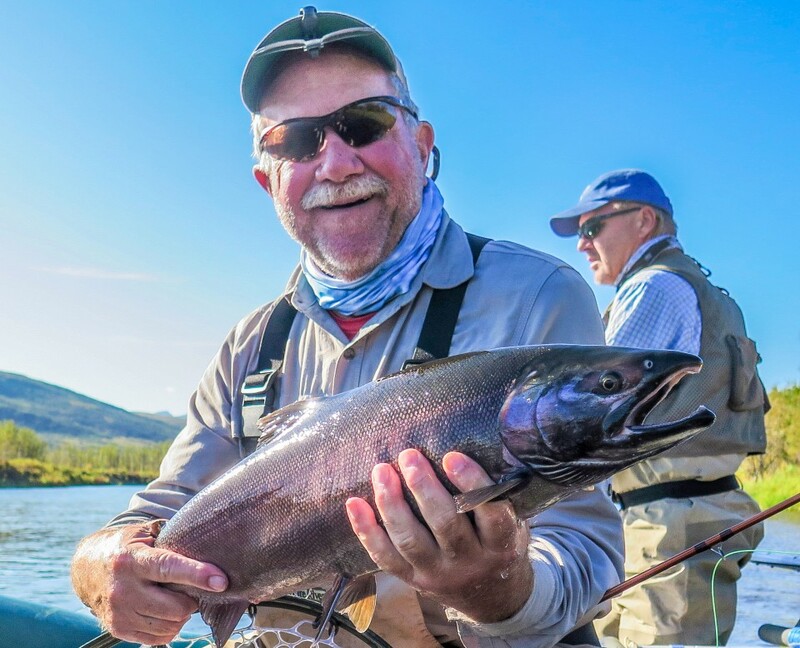 A week of intense fishing with Dale Van Lydegraf, Dave Merrill, David Lee, Don Strobel, Mark Scott, Paul Eldrenkamp, JB Cholnoky, and John Cholnoky. This year storms off the Bering Sea influenced our aviation weather creating some challenges to floatplane travel in July and August. This week had it’s challenges to be sure but with this great group of anglers & outdoorsmen the challenges were overcome and a productive week was spent on the Kanektok at the very peak of the Coho season. 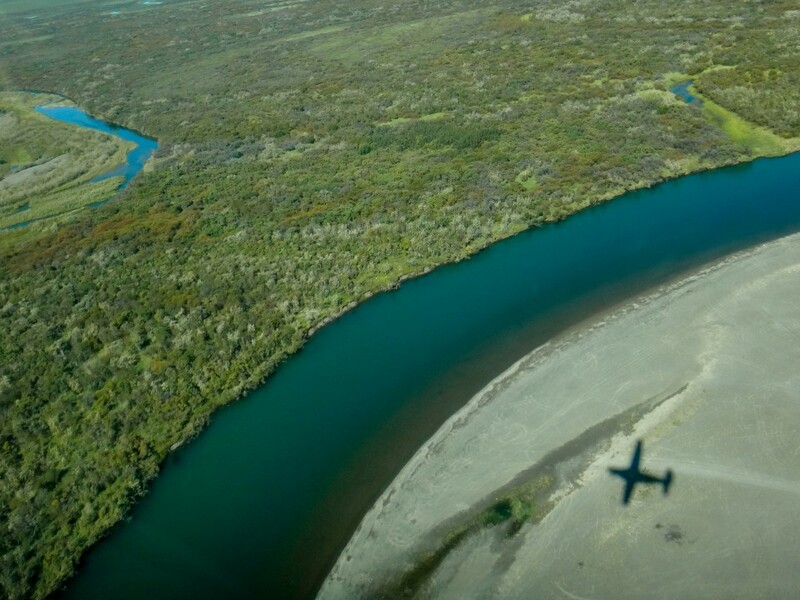 A quote one hears in Alaska describing the concept of an “On Time” airplane flight is: “In the Bush, Same day equals on time.” No our flights were not same day! We prepared for departure by floatplane outbound to Kagati Lake, the headwaters of the Kanektok River. We got planeloads weighed and one half the anglers transported up to Lake Aleknagik. Once there, the cloud ceiling dropped dramatically and the weather began to deteriorate. dinner and unwound before calling it a night. Certainly we all dreamed of sleeping on the river. That would come in time. We woke up on day two to prepare for a day of flying and it only took a look out the window to see that it was “A bit yucky.” It would be another slow day of waiting for the storm to pass. Some of the group had experienced multi-days being weathered in on prior trips and reminded us that this was all a part of bush travel. At 4pm we were notified by our pilot’s wife that we would not be flying out today. Well another evening would pass in Dillingham and the main point was understood that we were all safe and secure in a storm that would eventually pass and allow safe flying. We discussed what looked to be a favorable forecast for the following day and planned another feast. A supply run into town resupplied some essential beverages and groceries. Rachel made two incredible dishes, a lime chicken and a Jalapeño beef as the basis for a terrific taco dinner. It was a great feast and we ate our fill and washed it down with Mexican beers and perhaps a shot of Tequila. The forecast was excellent for flying out the next day! 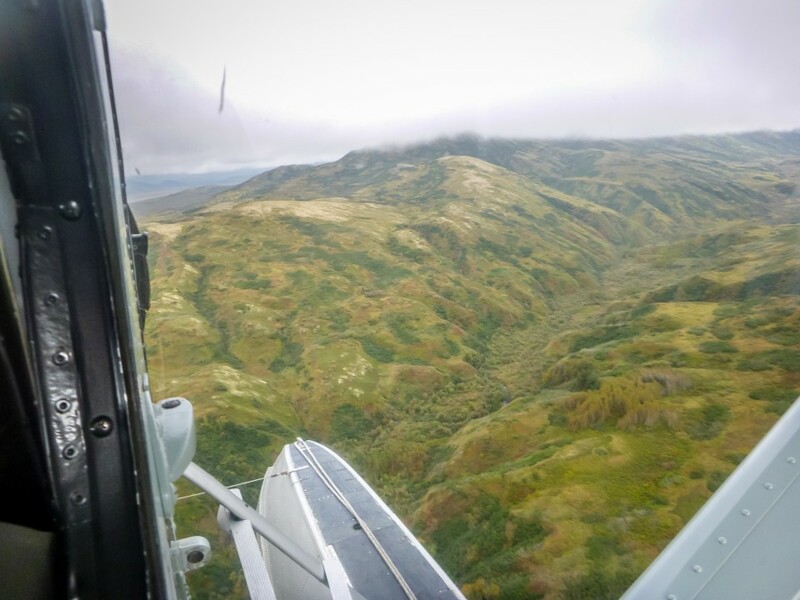 We loaded up aircraft and flew west through the mountains in a De Havilland Beaver and Cessna 206. The Brown Bears were in calorie consumption mode and were feeding on a strong blueberry crop and a plethora of Salmon carcasses. Four bears were seen as we flew in. 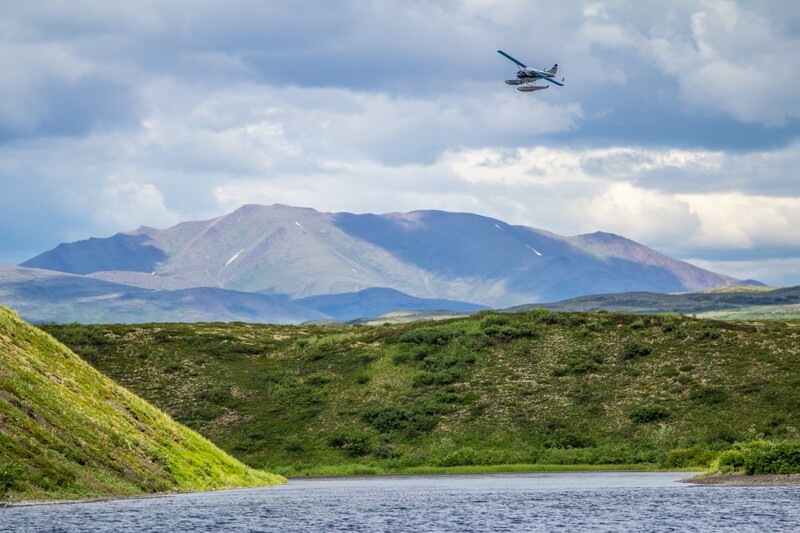 Two bull caribou were spotted just as we were arriving at Kagati Lake. The first two plane loads started getting rafts assembled and then on to rigging fly rods as they awaited the second two planes. 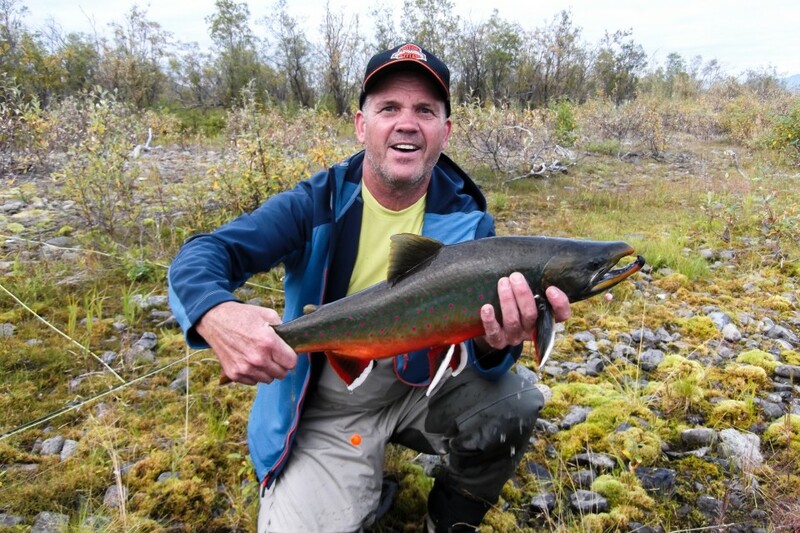 Dale rigged up a streamer and landed the first Coho lakeside just minutes before the second two aircraft arrived. It was noted that the landing nets were inbound on the second planeloads so there was that challenge to deal with! Off we went as soon as the rafts were assembled and the gear loaded. We wanted to push ahead 8-10 miles so we moved fast in the headwaters, which with high water the GPS clocked us at a top speed 6.6mph! Down river we went. In one raft JB Cholnoky, Dale and guide John J came across a Brown Bear on a side channel. The bear was mainly interested in his Salmon dinner but moved off to allow raft passage. At a nice gravel bar camp a pod of Coho were staged offshore and JB cast a home-tied streamer with good results. 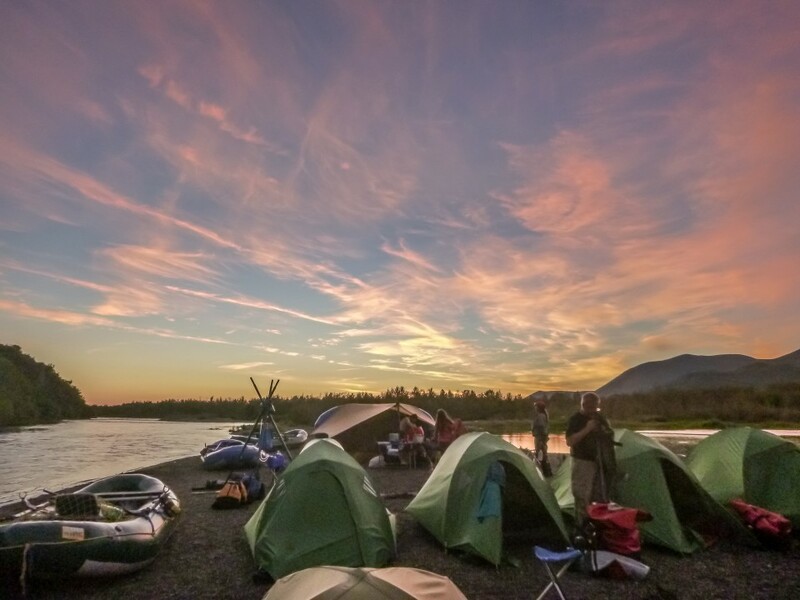 Everyone pitched in to get the rafts unloaded and then the gang turned their attention to casting flies and netting Dolly Varden Char, Coho, and Pink Salmon for each other plus taking photos and enjoying what they had travelled so far to experience. 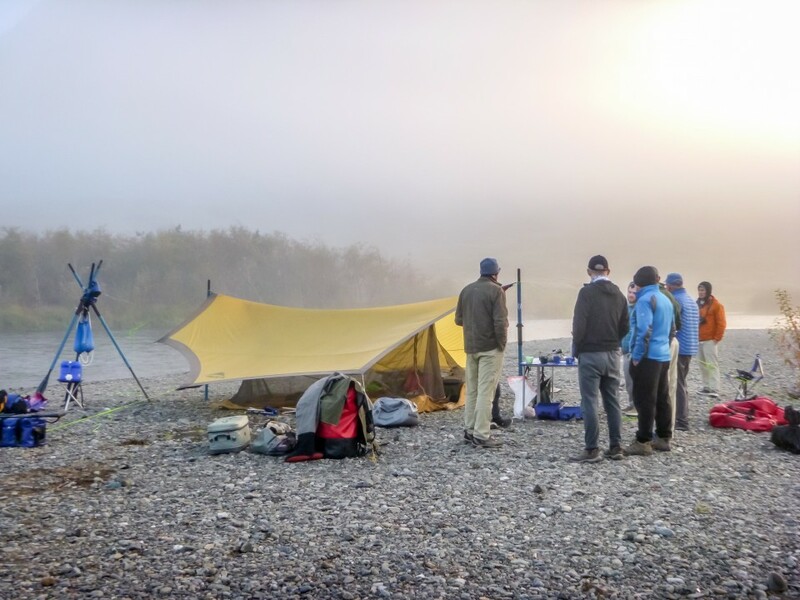 With Char fillets for dinner and relaxing afterword we were happy to be in the wilderness camped along one of the great rivers of Alaska. 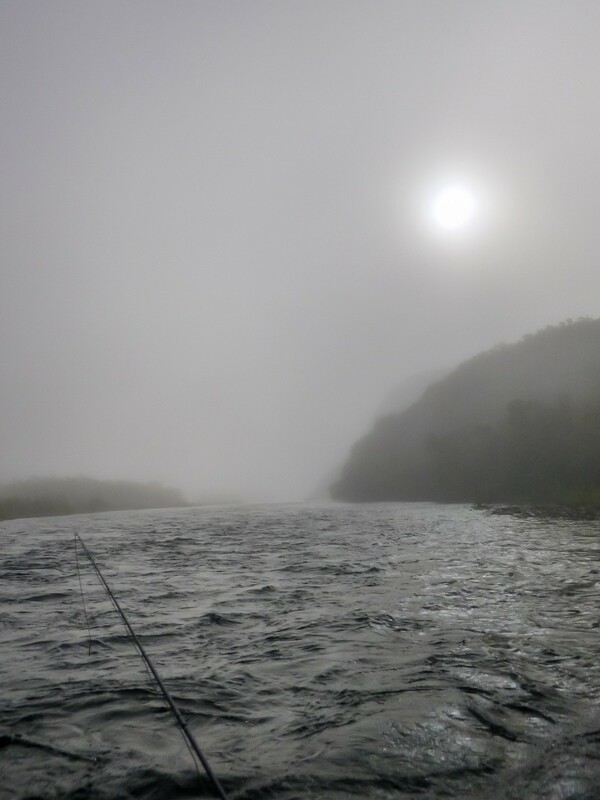 The first full day of fishing was extremely strong for Sea Run Dollies as one expects in August in the headwaters. 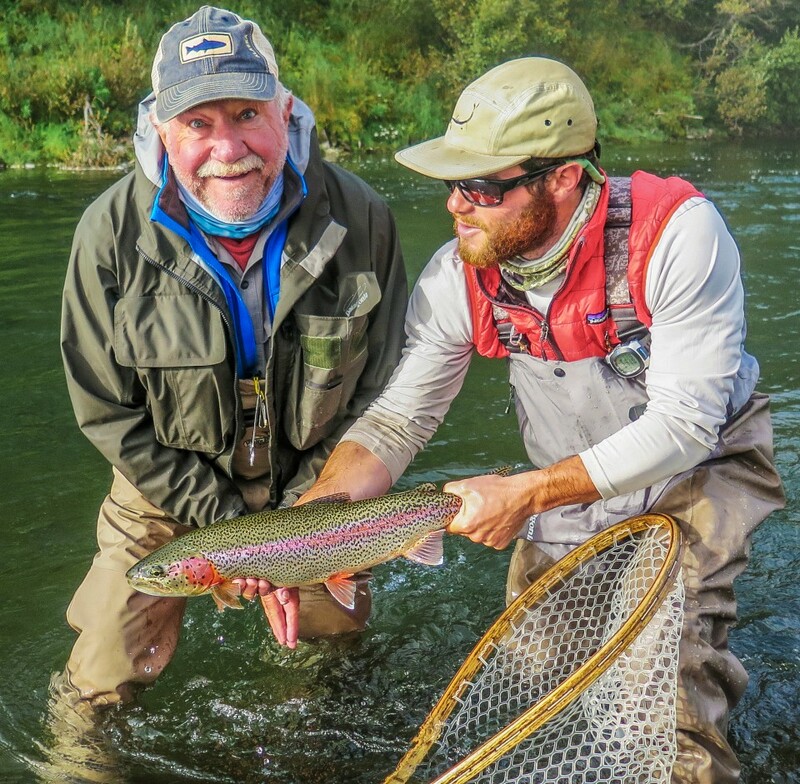 Rainbow trout likewise were taken in good numbers but what was less expected was that Coho were abundant quite far up in the system and two dozen were recorded in the log. 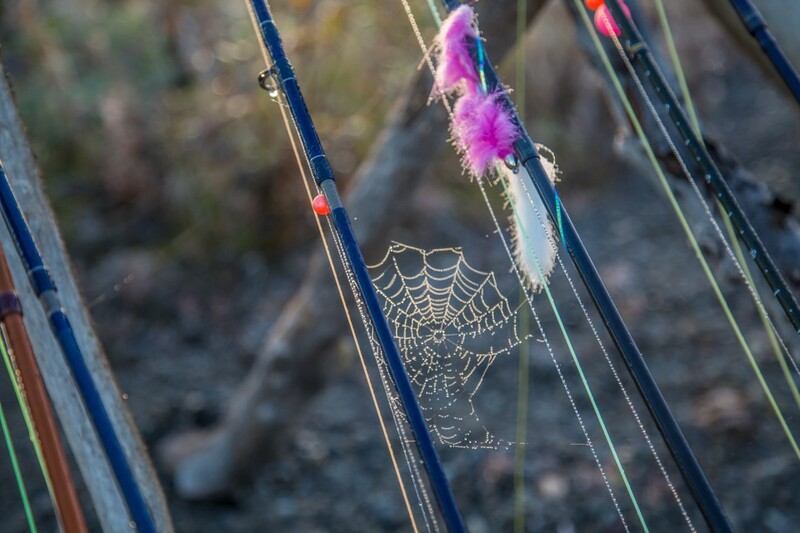 Anglers got their Trout bead rigs dialed in for the Char and tailored their techniques to the different feeding strategies of the Char versus Rainbows. Both were actively feeding on Salmon spawn. At this point all 5 species of Salmon were spawning and the river was rich with eggs. 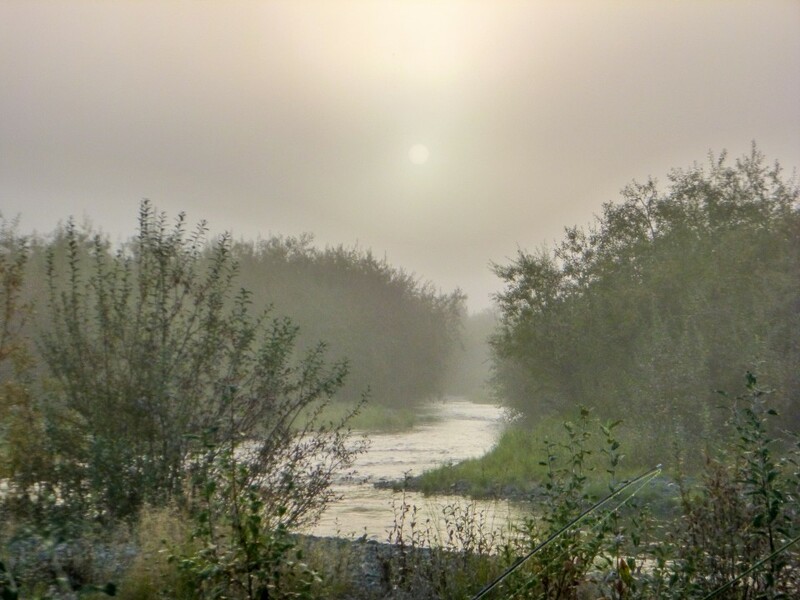 One could watch the Char and Rainbow and Grayling dart in to the redds and filch stray eggs to be chased out by the territorial Salmon. The Char in particular were feeding voraciously. The sun was high and warm and it felt more like a July day then a late August morning. Certainly it was unlike our previous “No-Fly” weather. We stopped midday and took lunch on a gravel bar. It was noted for the record that most anglers were quite a bit more distracted by the fishing than the food! 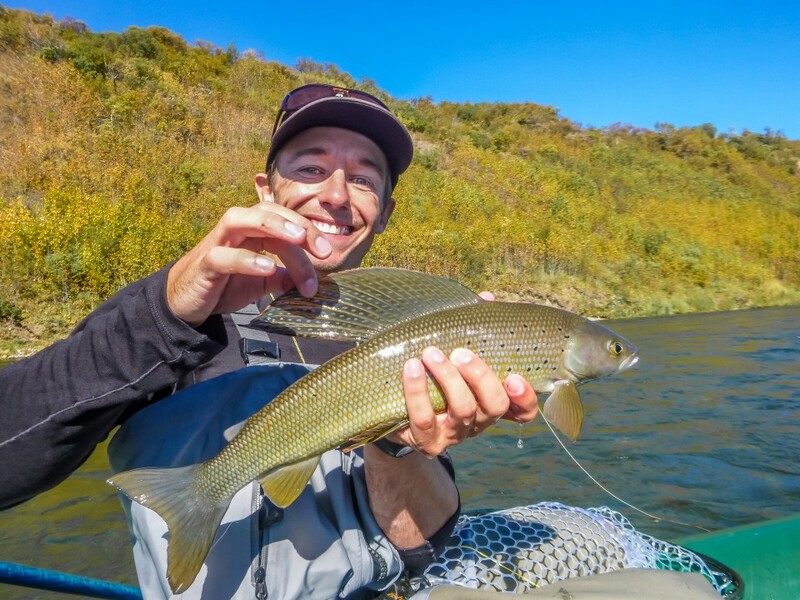 Great fishing continued after lunch and we deliberated whether or not to take a big ridge top hike but decided the fishing was too enchanting to divert our attention by hiking. 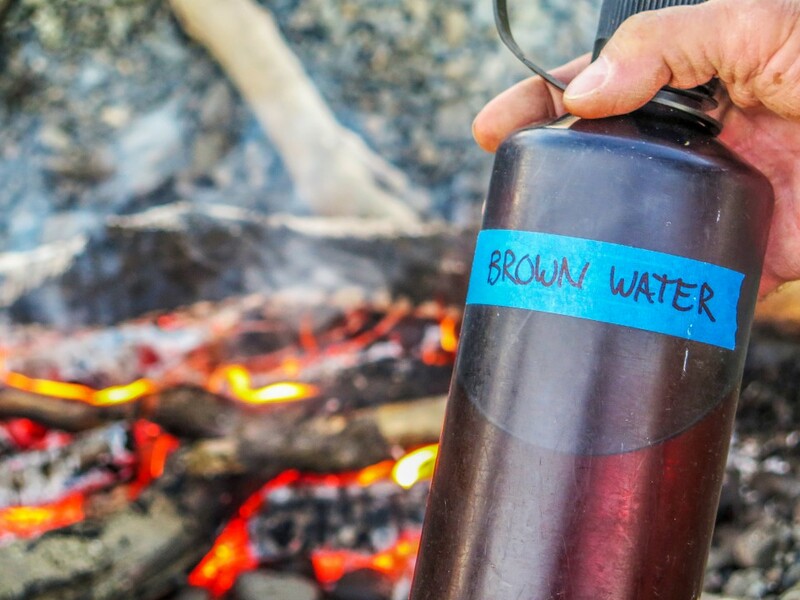 The log notes that Dave M caught an absolute trophy Char late in the afternoon before we made camp on a bar below a rugged peak. The sun was warm against all odds! After a quick group photo many of the guys were back fishing. There was a nice shallow back channel that cut behind camp rich with Sockeye spawning and the Dolly Varden Char were mixed in behind them. 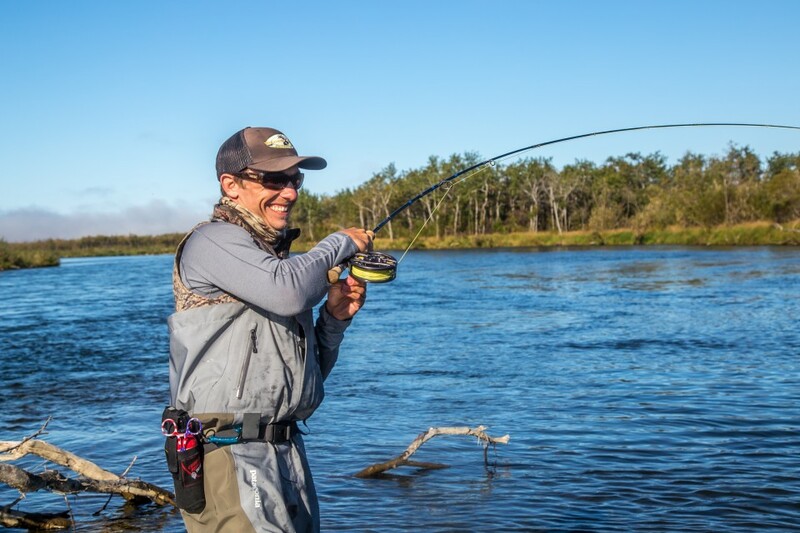 Mark Scott was first on the scene and for 30 minutes took fish on nearly every cast. There was a mission to collect firewood for a campfire. 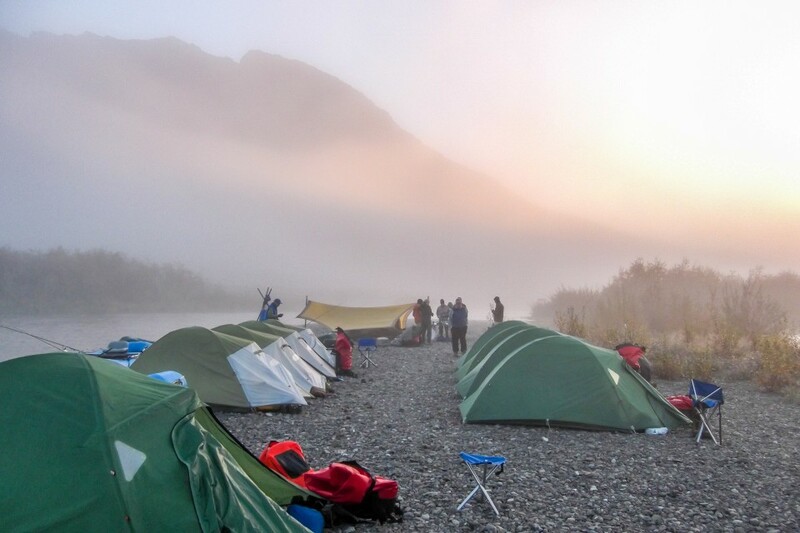 Riverside pizza topped the menu and we served familiar food from home on a wild Alaskan landscape. 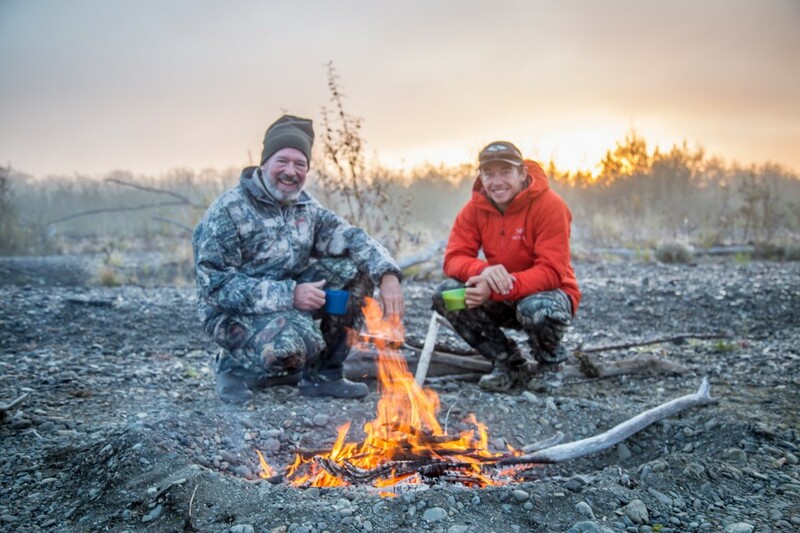 John and Mark stood next to each other and watched spawning sockeye kick drops of water into the air illumined by the sun. The fire was nice, the weather was perfect and finally the sun went low and a good day came to an end. Breakfast and then we got the boats loaded up early. A few miles down from our camp we came across a neat whirlpool-eddy that was a joy to circle around. It didn’t fish particularly well but it made an interesting circuit. We moved down river and found another small back eddy that had pockets on the right and left side where Don and Mark caught their first Coho of the trip. Later Don hooked a beautiful chrome bright Silver that we kept for dinner. Char fishing was consistent but challenging and the log records 127 were released which was a marked reduction from the day prior. It was a day of intense sun and against all the seasonal weather odds we had remembered the sunscreen! Just prior to lunch JB, in Rachel’s boat, hooked and landed a trophy Dolly that taped out at 30”! After lunch we entered a section of river with innumerable narrow densely wooded back channels, which the guides lightheartedly call the “Jungle Tour”. 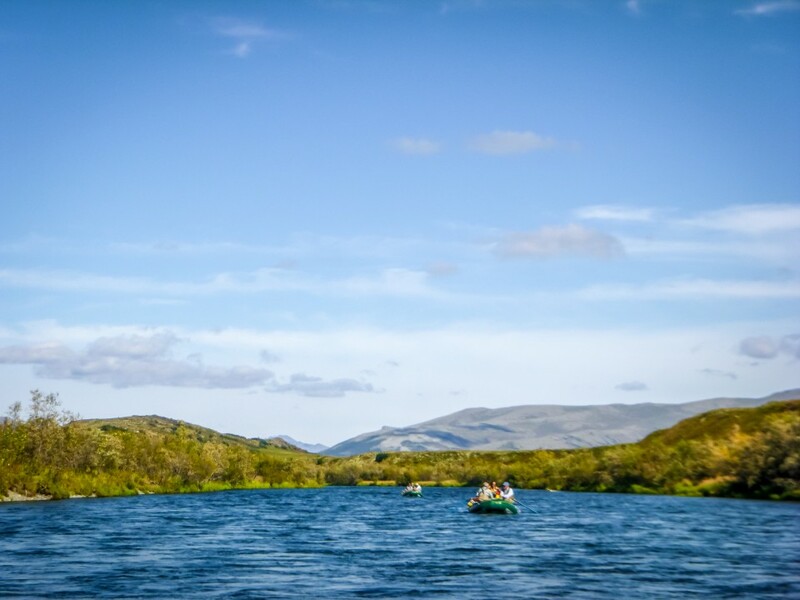 The banks get tight with barely enough channel for a raft and the navigation becomes tricky. It’s tough to cast in the jungle but Don released a nice Coho and then a big Rainbow while Dave hooked up on a trophy Char. It certainly made for an entertaining row. Dave L pulled his Char out of one of the most densely packed pods of Char that any of us had ever seen. There were 150 fish in a 10’x10’ channel. 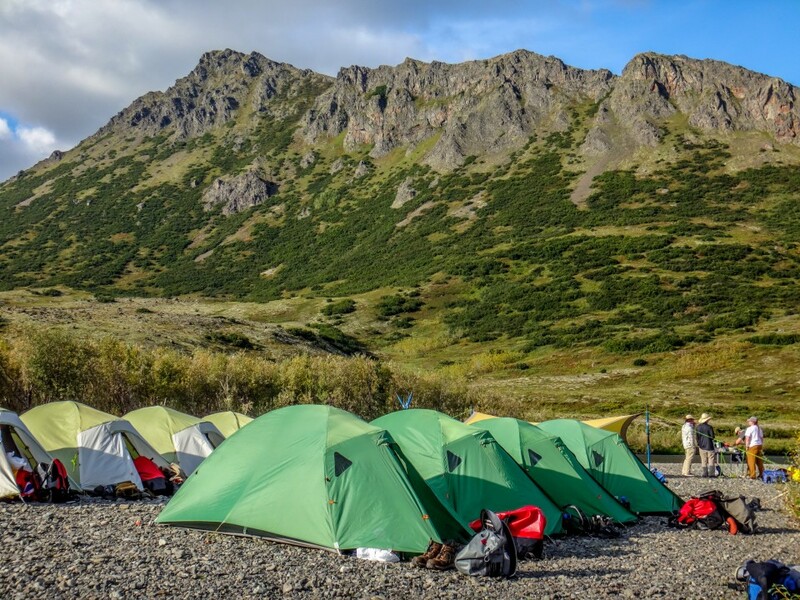 We exited the jungle and the river channel opened back up with the large gravel bars and sweeping tundra vistas characteristic of the upper Kanektok! We proposed one more narrow channel that needed exploration before camp. The new channel pioneered by the raft team lead to a hidden back channel that we know as the “Char Factory”. There, deep back in a small beaver slough, Don caught six Coho in 30 minutes. While drifting through the Char Factory Dave L hooked and landed his first Coho. A bit further down river, JB sighted and took a very nice Rainbow. A Bald Eagle perched cliffside, keeping her eye focused on the fishing antics. At camp some swam to cool off. Pasta and Coho was served with another great campfire to sit and eat around. 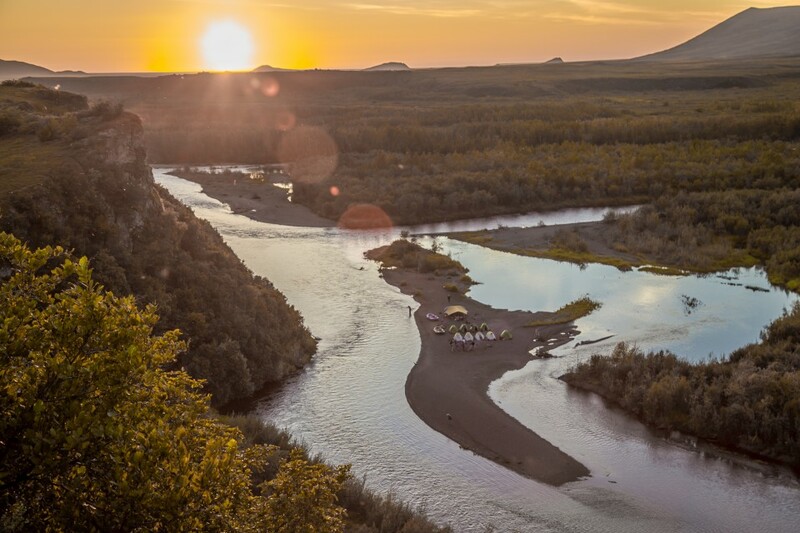 John J and Aubrey rowed across the river at sunset and climbed up the Bluff to take in the view and photograph the scene. As the sun set John C released a nice Coho right in front of camp. As we were loading boats the next morning, Coho were pushing up past us intent on moving upriver. Among them Mark sight cast to a nice Rainbow. It took three drifts before the fish struck and it was a happy battle from there. 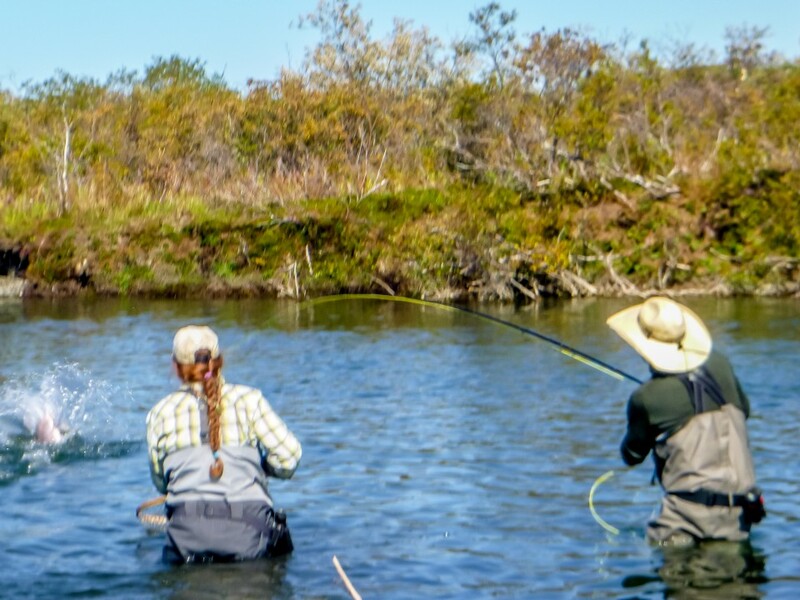 The Coho were holding in small back eddy pools but if you could find them and set up a cast and get a drift in tight the results were very good. A big river right slough in the morning accommodated three of our boats. There John C, Paul, and Don did very well. Mark and Dale also found some small “side pocket” sloughs and connected. We battled head winds after lunch that persisted through the afternoon making both rowing and casting a challenge. With that we stowed the fly rods and pushed ahead for a while passing through the dismantled fish counting weir. Late in the afternoon we stopped at a massive gravel bar that held a nice pod of Coho. Dale and Mark doubled up on Salmon and we killed the brighter of the two for dinner. We pushed ahead setting up camp at a fork in the river. The amount of wood on that sand bar was incredible. Some angler / engineers in the group fashioned an impressive rod rack to house the dozens of fly rods for the evening. Marks Coho was served with our signature curry sauce over rice. As the sun got low and the wind died JB picked off a couple more Coho from the slough below to cap off the evening. Aubrey stayed with the fire until it burned down to coals. 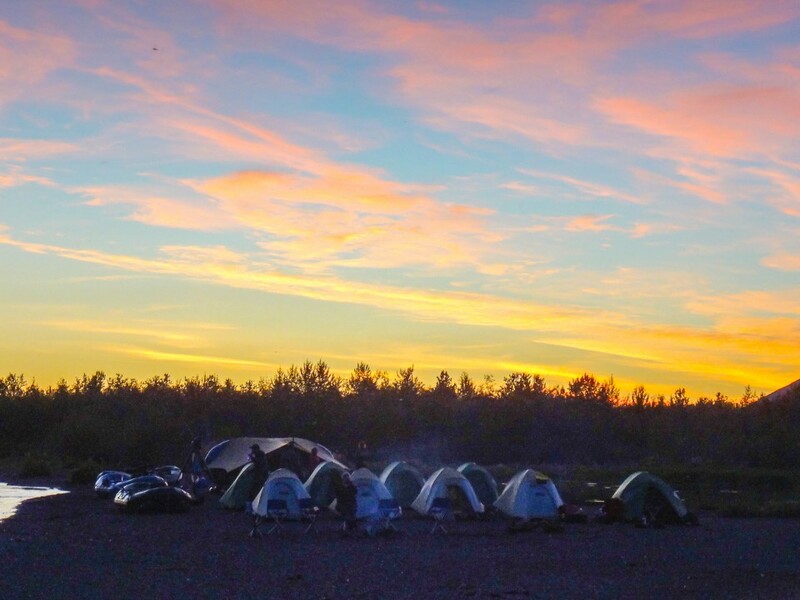 Then all the camp slept well after a good day on a wild river. The temperatures dropped overnight with a severe clear sky, which spawned quite a bit of fog after sunrise. The campfire embers from last night were all that were needed to get a fire going in the morning with a little breath and some dry twigs. The Cholnoky father / son team stoked the fire as oatmeal and coffee were brewed in the kitchen. were breaking it down and packing it away for the season. This day was we found fish in larger sloughs compared to those yesterday in small deep pockets. We stopped for lunch in a big “Party Slough” where all boats stopped and were able to fish together. Paul took a really nice Salmon here. While some ate lunch, others continued to fish and net for each other. The camaraderie of the group was notable! Boating out of the lunch slough, John and JB doubled up while their raft was in heavy current and the father and son were in for a real Salmon rodeo. JB’s fish found cover and wrapped around a root wad so JJ’s boat launched a semi-sketchy “rescue mission” to retrieve the fly line (successfully). 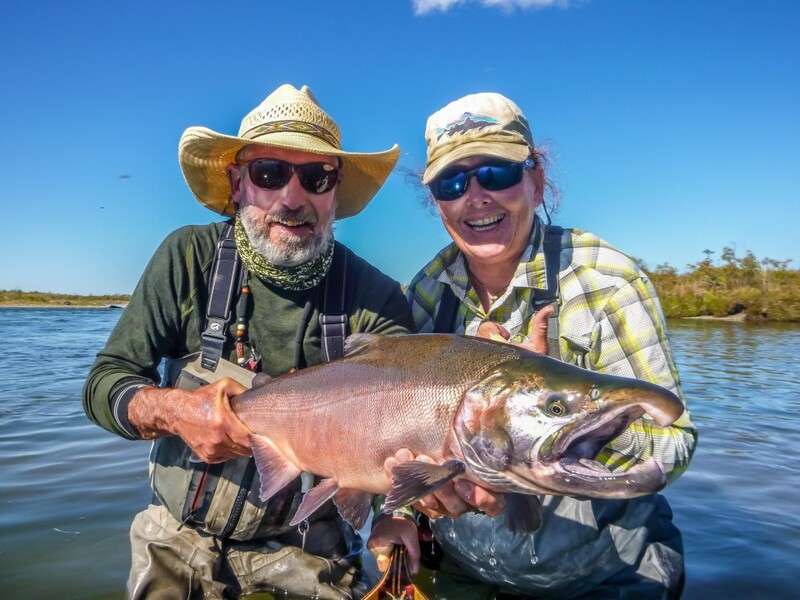 The rafts located a big flat with sandy golden colored sediment in the afternoon sun and anglers were able to sight cast to Coho, in perfect water conditions! 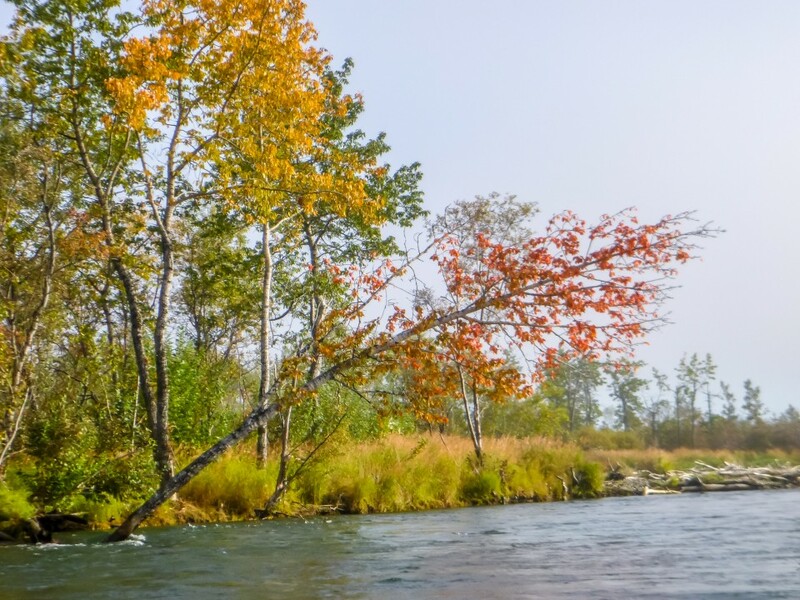 At a major river right slough marking the boundary of the Togiak National Wildlife Refuge, Coho staged in large pods under the late summer sun. Anglers were hooked up wherever one looked all around the slough. 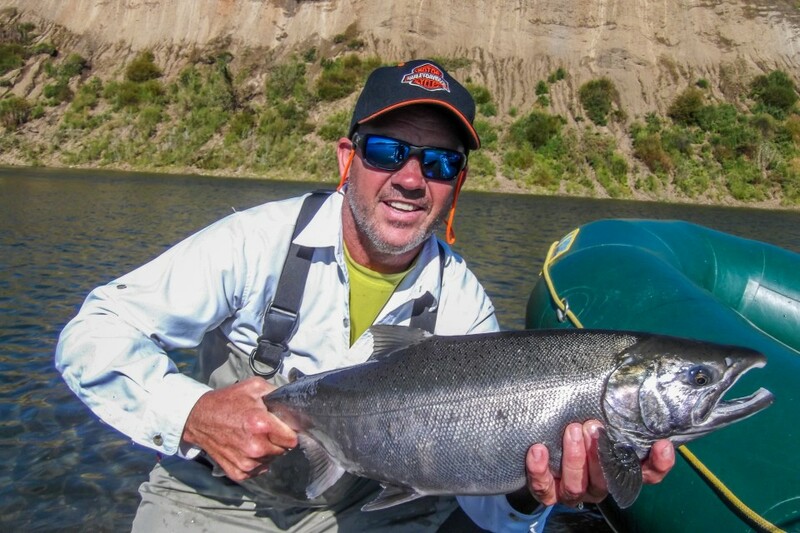 Some of the guys started casting top water “Pollywogs” which is one of the most exciting ways to fish for Coho. The Pollywog can’t compare with a streamer, productivity-wise, but for fun it is unbeatable. We fished a big slough in the late afternoon from both shore and boat. Everyone hooked good numbers of fish but Don, Mark and John C logged some really impressive numbers. We rafted with “rods up,” that is in stowed position, for the rest of the afternoon to make some miles that still remained to camp. One has to do this from time to time. C’est la vie! could comfortably fish. 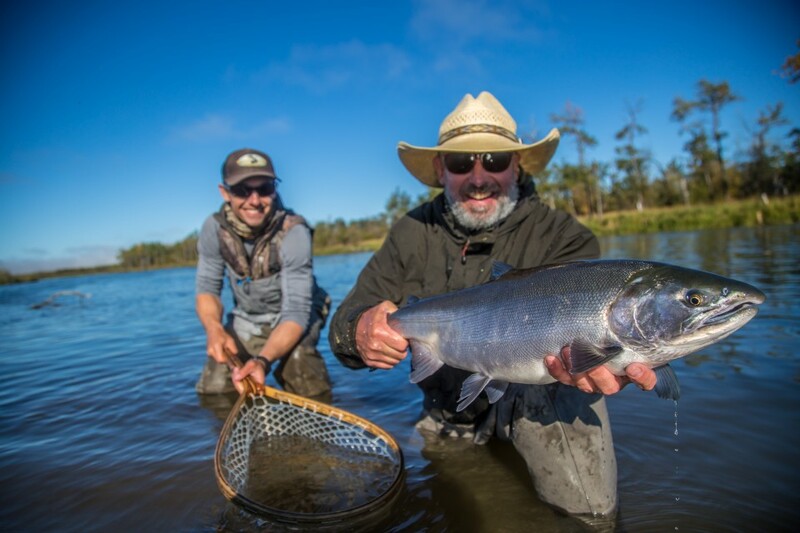 While the guides set up camp, the guests crushed Coho and the reports from down stream were that Paul was the top stick. John C reportedly caught a nice Silver on a top water popper. As the anglers returned, sushi maestro Brian Malchoff was in the kitchen. We enjoyed Coho Salmon Sushi with some nice white wine. It was a grand day in a rich watershed with lots of big fish and lots of river miles explored. Rachel and Aubrey departed on a girl’s early morning mission to slay some Coho before the rest of camp awoke. Jb up early too, rekindled the fire from last night’s coals. After fireside Coffee we broke down camp for our final day full day on the river. We started off rowing to the lower end of the camp bar to fish the point. A few fresh fish had moved in over night and Dale and Dave M both struck several fish before moving on. The theme of the day was slough “hopping”. Each raft would leap frog the next one below as they searched for productive new water. Most sloughs were big enough for one or two boats and so one rowed down river and more productive water was never far. Brian and Johns boats were drifting and fishing a big river right slough in the late morning and after catching several large fish back to back, Dale put down his fly rod and simply enjoyed watching his good friend Dave M capitalize on the nonstop Coho bite. It’s not every day, or even every year, or every decade when one has fished to absolute satiety. Fished to the point where all the many many fish one has touched this day have completely re-charged one’s battery. It was a nice feeling. At lunch it was observed that most angler’s hands were battered and lower backs were sore. Shoulders were tender. Elbows too. Catching Salmon after Salmon was starting to take its toll on the gang. It was time for a caloric energy “reboot” of smoked Salmon and crème cheese and crackers. And then we got back on the water! All the fishing lodge operations were over for the season so we had the magnificent Kanektok River pretty much to ourselves. As we leap-frogged our way down river the fishing was so good that half the anglers switched to casting top-water Polly wogs and poppers. 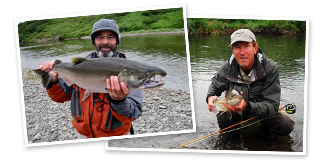 The log at trips end recorded an amazing 497 Dolly Varden and 349 Coho Salmon landed this week. John, JB, Don, and Dale were fishing Wogs and Don recorded good Go Pro footage of top water takes. 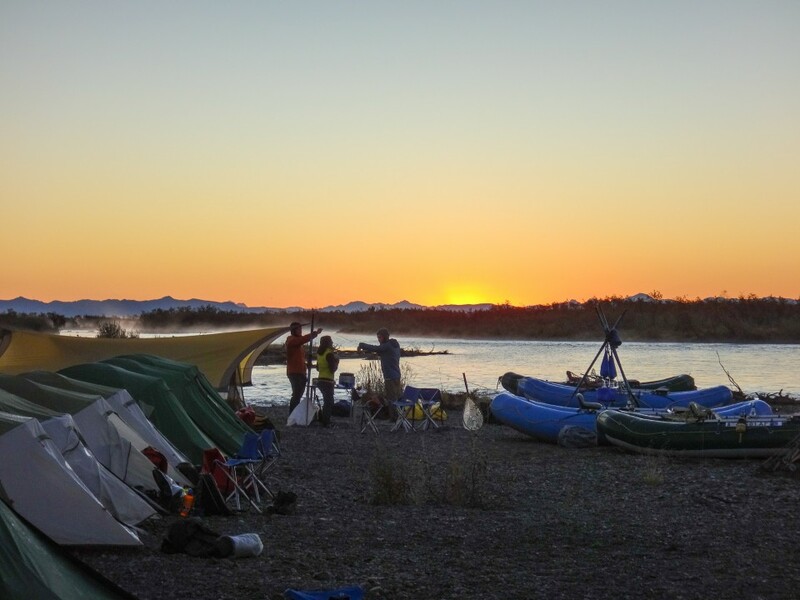 Each raft stopped to fish the most pristine looking water before moving on and then we camped a couple miles upstream of the village of Quinhagak on a river right gravel bar. We had Thai Salmon Soup for dinner and the boys built a final campfire. As the evening entertainment developed John C became our Disk Jockey for 60’s music trivia and Dave L proved encyclopedic with his music knowledge. 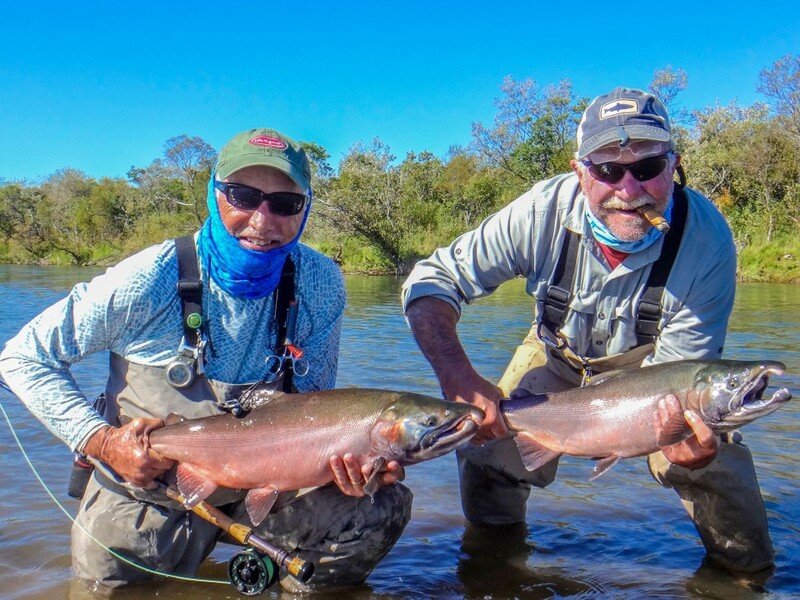 After the initial “No Fly” storm in Dillingham passed the weather that we experienced in the last week of the season was completely spectacular. A big “thank you” to all the anglers who made this week a success!